Tom Hart Dyke has an encyclopaedic knowledge of plants – those found in the UK as well across the world. As a modern day plant hunter he’s taken extreme risks to find rare and beautiful specimens. In 2000 Tom was on a plant hunting expedition in the Columbian jungle trekking through The Darien Gap with a companion, Paul Winder. This dangerous area is home to warring guerrilla factions and it was not long before the two were ambushed and subsequently kidnapped. They were held captive for 9 months and their ordeal has been the subject of books and televisions programmes. Three months into their capture they were told they were to be executed and Tom, to keep his mind away from their fate, planned a magnificent world garden for his ancestral home, Lullingstone Castle in Kent. He spent the day designing and drawing plans for a World Garden in his diary, a garden that would contain the plants he’d collected from all over the globe, each planted in their respective countries of origin. But they were not executed and in December that year were set free. Tom’s World Garden at Lullingstone Castle was opened in 2002. The Garden, now world famous, won the prestigious British Guild of Travel Writers UK Tourism Award 2005. Tom and Paul Winder are authors of the best selling book The Cloud Garden (Transworld 2002) which details their experiences in the jungle. 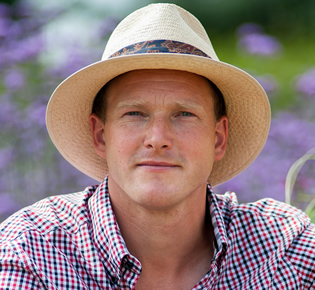 Tom Hart Dyke, after dinner speaker and keynote speaker, is an expert in plants from all across the world. From exploring jungles in search of new species to designing his own world garden at his magnificent estate Lullingsworth Castle his stories are filled with knowledge and fascinating facts, including his incredible experience of being captured and threatened with death by guerillas in the Columbian jungle.